Nancy arrived for her three-week visit on Thursday, and after a 24-hour transit seem ready and raring to go – until about 2pm when she fell asleep and only woke up briefly for dinner before sleeping through the night until about 8am Friday morning! 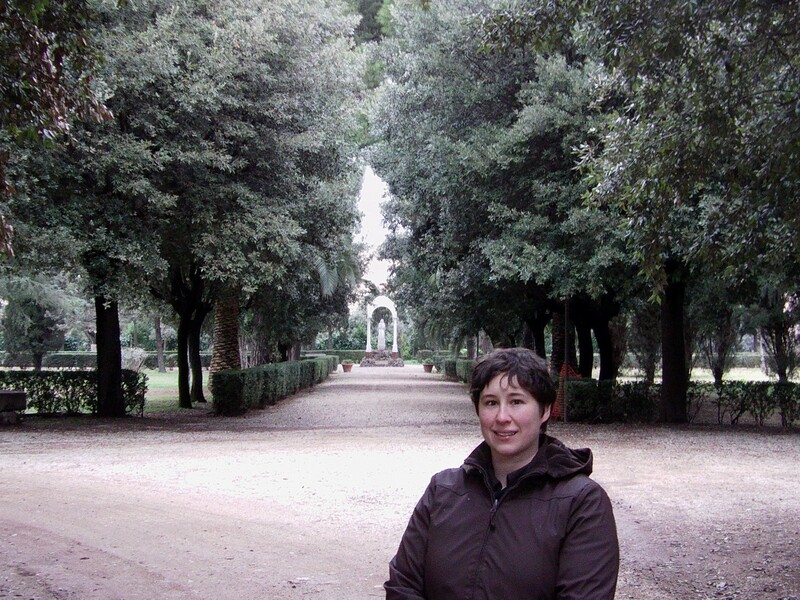 For her first real day in Rome, we did some initial planning and I showed her around the Lay Centre and the monastery grounds. 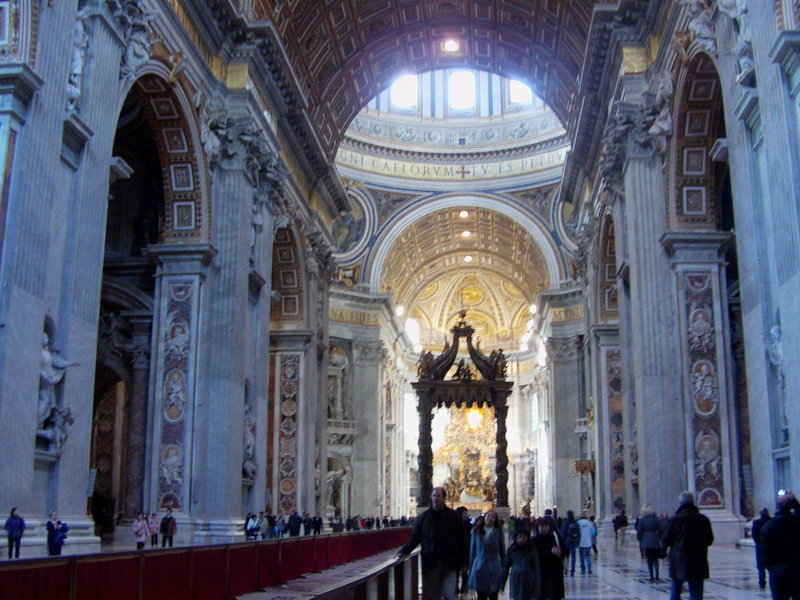 Then, we set off across town for an initial visit to St. Peter’s – just a quick couple of hours since I had an evening class. We actually started at the Tomb of the Popes, on the level of the old Constantinan Basilica, and then went up to the Renaissance level. I realized I have not been over there as often as I would like to be these last couple months, and it is a real treat to show the place to someone on their first visit! Nancy’s real intro to Rome came Friday night when she got to sit in on my 5:30-7:15pm class on Methodism and its Dialogue with the Catholic Church! OK, so maybe she’s not as enthused as I am about the topic, but the lecturer, Rev. Trevor Hoggard (the Methodist Delegate to the Holy See) is engaging and it really is a good course. And it is nice to share a taste of “real life” here as well, beyond the touristy and the pilgrimage sites. 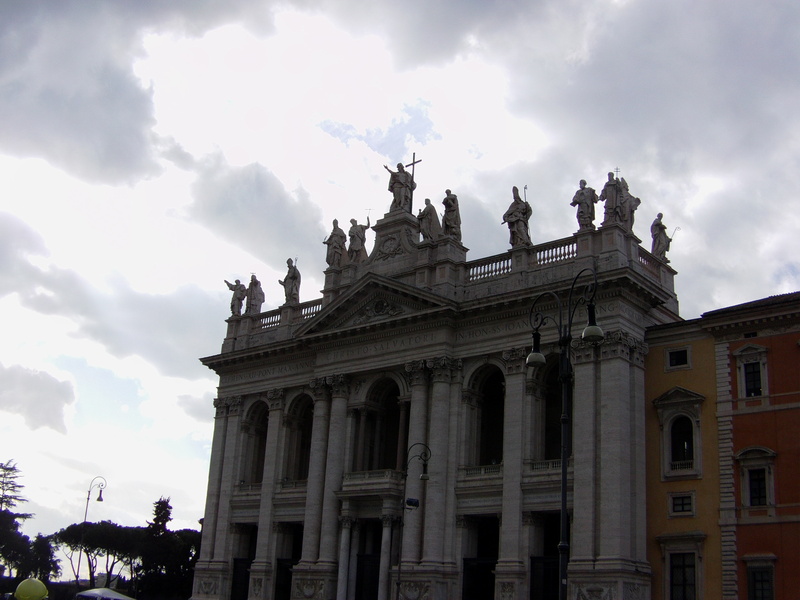 Saturday we took a leisurely stroll over to the Cathedral of Rome, the Archbasilica of San Giovanni Laterno. The nice thing about an extended visit is there is no pressure to see so much in each day. The down side is that by the time you sleep in, have a caffe, make plans, and decide to go out, everything closes for pranzo and you’ve lost almost all the daylight by the time they open again! By A.J. Boyd in La vita Roma on December 19, 2009 .